The Tsum Valley is located in the northern part of Gorkha, which is a sacred pilgrimage place of Buddhists. 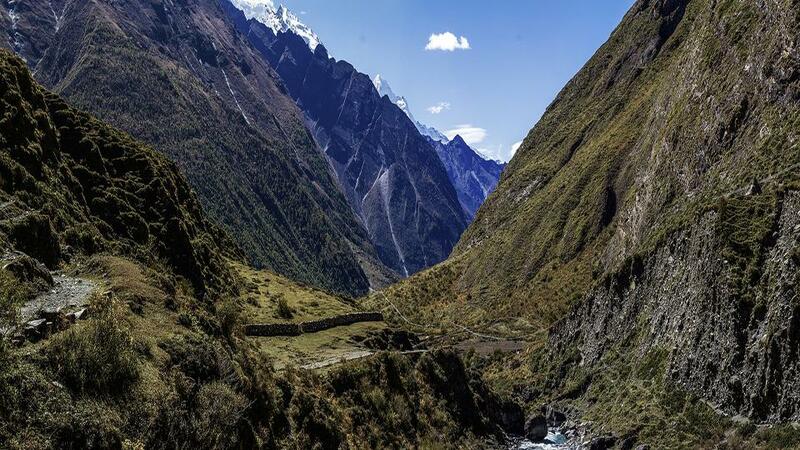 The Tibetan word Tsombo is the name as Tsum Valley, which means varieties. The trekking in the Tsum valley is a Himalayan journey to explore ethnic and ancient lifestyles, traditions, rituals and rustic geographical surroundings. 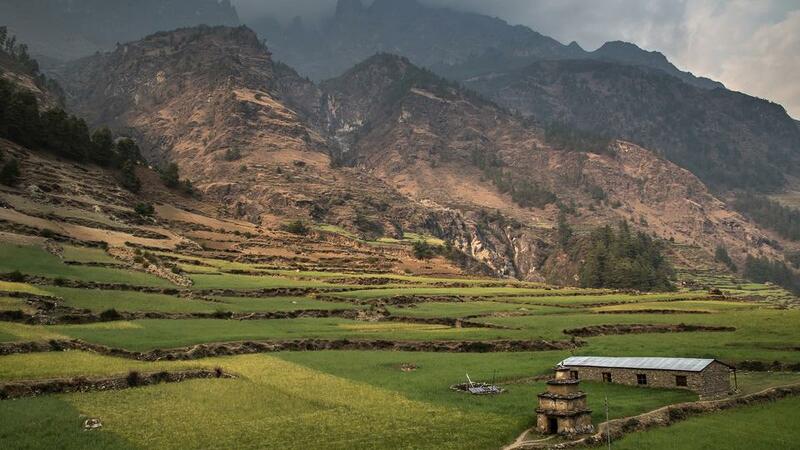 The virtually untouched Tsum Valley has become a selective trekking destination for the trekkers in Nepal Trekking Holidays, which is culturally loaded and exceedingly striking Himalayan vista as well as forests, gorges, waterfalls and rugged landscape. The frequent ascend and descend through the Budhi Gandaki is a trail of the Tsum Valley Trek, which is partly combined to the Manaslu Circuit Trekking. Begins from the Sotikhola, the trek continually ascends to the ethnic Gurung villages through the terraced rice fields, lush forests, Monasteries, Chhortens and Mani Walls. The Dzong and Phurpe include the longest Mani walls in this trekking. Several attractive ethnic Gurung villages on the trekking route of the Tsum valley are Philim, Chhokangparo, Mu Gompa, Tatopani and others. As the trail ascends towards the higher altitude, the Himalayan views become crystal clear. They are Himalchuli (7893m. 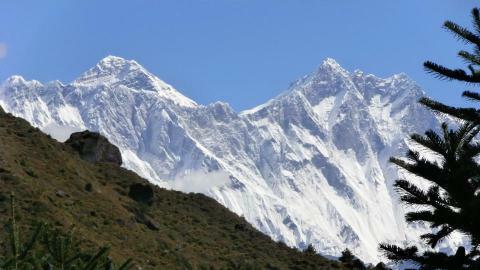 ), Manaslu (8163m), Ganesh Himal, Ngadi Chuli or peak 29, Sringi Himal and other neighboring peaks. Different types of flora and fauna are found in this region. The Tsum Valley is divided into two parts: Lower Tsum and Upper Tsum. People in this valley do not sacrifice animals, which is another strong cultural blend and devotion to the belief. The Tibetan lifestyles, costumes, food habits and festivals are major attractions of the Tsum Valley Treks. 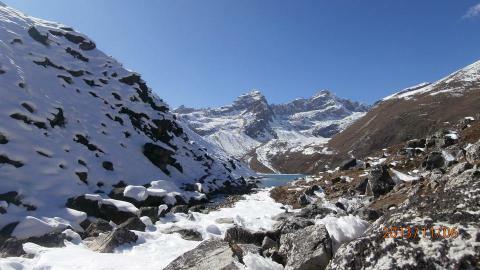 All the seasons, especially the spring and autumn are the best seasons for the Trekking to Tsum Valley. 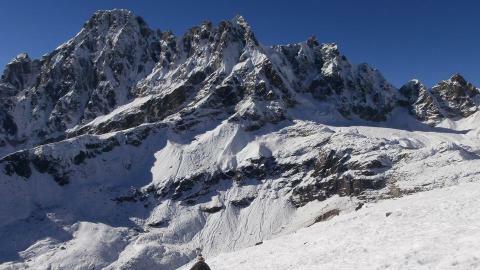 It is a distinct and adventure reward for the trekkers in Nepal Trekking Vacations. The local lodges are available for the lodging and local foods, including foreign dishes are available in this trekking. Namaste Treks Company is a leading organizer of the Tsum Valley Trekking with experienced guides and other teams. Please, contact us for more inquiries. Full of Monasteries, Chhortens and Mani Walls. Beautiful Himalayan views of Manaslu (8163m), Ganesh Himal, Ngadi Chuli or peak 29, Sringi Himal and others. Day 11: Extra day for excursion. Day 12: Mu Gompa to Rachen Gompa (5 hours). Day 18: Drive to Kathmandu: 8-9 hrs. Welcome to Nepal. Our company representative receives you at the international airport in Kathmandu. Then transfer to the hotel. After a short briefing about the tomorrow’s program, we depart. O/N at Hotel. Today, we do city sightseeing around the Kathmandu Valley. 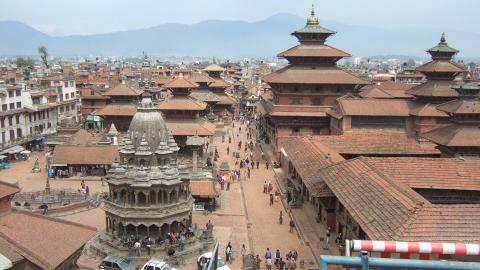 It includes Kathmandu Durbar Square, Pashupatinath, Boudhanath and Swayambhunath. 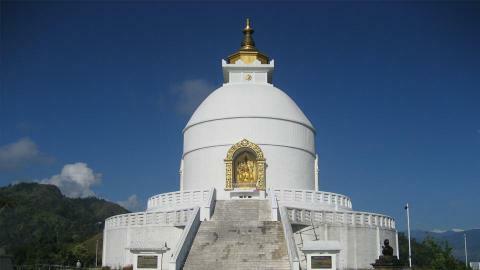 They are Hindus and Buddhists’ temples and Stupas, included in the World Heritage Sites. 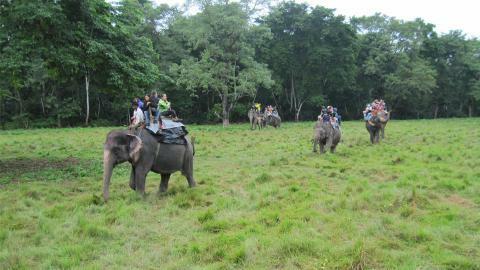 Return back to the hotel and arrange for the upcoming journey to the mountain. O/N at Hotel. In the early morning, we drive North West from Kathmandu to Sotikhola from Kathmandu. It is a long but reward with various views of green hills, River, streams, gorges and traditional villages. Crossing Dhading Besi and Aarughat, we arrive at Sotikhola. O/N at Lodge. Today, we walk through the sub-tropical forest of Saal and then we walk along the Budi Gandaki River ridge. On our walking through the terraced rice fields, we cross some ethnic Gurung villages like Khursane and Lapubesi. After crossing a bridge over the Budhi Gandaki River, we arrive at Machha Khola. O/N at Lodge. We walk through several ascending and descending to reach Doban, but the trail is well stone paved stairs lies at the convergence of the Shiar Khola and Sarpu Khola. With the great views of surrounding, the gradual walk leads to the Doban. O/N at Lodge. We head through the sub-tropical forest and the rugged trail. We are rewarded by the outstanding views of Sringri Himal and continually walk to the Philim. It is a large Gurung settlement with the crops fields beside it. We rest here today. O/N at Lodge. After breakfast, we trek to Chumling from the Philim village following the ridge of the other side of village that continually leads to Ganesh Himal Base camp and Chumling (Lower Tsum). The views of green hills and lush forests are outstanding. O/N at Lodge. Today, we head towards the Upper Tsum valley of lower Sun Valley, locally known as the Chhokangparo village. 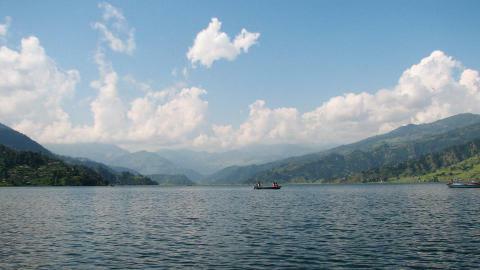 It is a combination of Chhokang and Paro village, situated on the same flat land. The views of Ganesh Himal, Baudha Himal and Himal Chuli are outstanding from here. Some people are still following the polyandry system here. O/N at Lodge. Today, we trek to Nile/ Chulle from Chhokangparo, which is the last village walking north to the Upper Tsum Valley. Chhule is in about half hour distance from Nile. On the way we pass the Piren Phu cave, locally known as pigeon cave and holy cave in this valley. Milarepa, the famous Tibetan saint, was believed to have meditated here. Then, we gradually walk to Nile/ Chhule. O/N at Lodge. 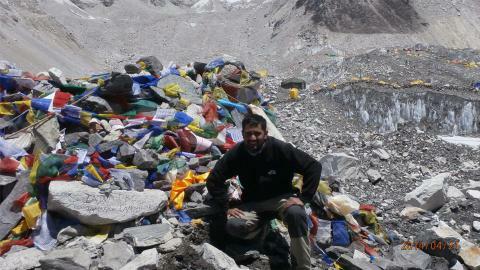 From Nile/ Chhule, we ascend to the Mu Gompa. On the way, we visit Dhephyudonma Gompa, which is the largest monastery in this region. The library in the Gompa includes lots of religious books. We rest at the near campsite. O/N at Lodge. On our acclimatization day, we hike up to monastery. It is helpful to be familiar with the local environment and altitude. 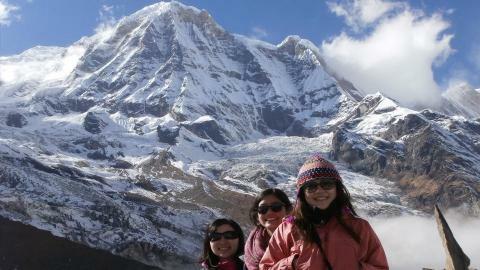 Paika Himal on the background smiles and attracts the trekkers. Ganesh Himal and surrounding peaks are dazzling on the far horizon. Then we trek down and rest. O/N at Lodge. 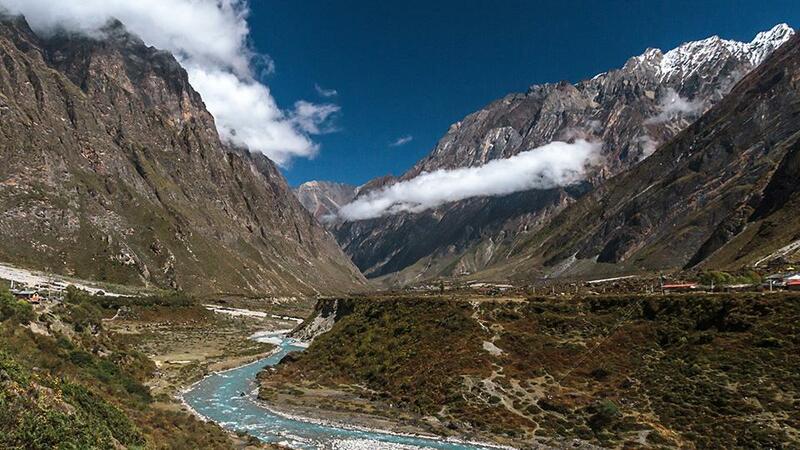 Following the Shiar Khola Valley, we trek up to the Rachen Gompa. It is a nunnery, situated near the border of Nepal and Tibet. It was established in the beginning of the 20th century, is one of the largest nunnery in the Tsum Valley. The surrounding areas are also rich in the Buddhist rituals. O/N at Lodge. After breakfast, we trek to the Dumje village. It is a small village with few houses adjacent cattle shed. O/N at Lodge. After breakfast, we trek to Philim and cross Rupchet. The views are superb of the lush valley, stream and farm lands. O/N at Lodge. Today, we trek down to the Tatopani village from Philim. We can enjoy the natural hot spring. It is said that it works as a remedy for many types of skin diseases. We rest and enjoy our tiredness with a relief bath. O/N at Lodge. Following the ridge of the stream and River, we cross the terraced farm lands, lush forest and several ascending and descending. Gradually, we reach to the Sotikhola. It is our last day of the walk. O/N at Lodge. We drive to Kathmandu following the views of green hill scenarios, gorges, terraced rice fields, waterfalls along the Trishuli River. After 8-9 hours drive, we arrive at Kathmandu and transfer to the Hotel. Walk freely in the local market in the evening. O/N at Hotel. On your final departure, we bid farewell for your safe flight to the sweet home. Our company representative drops you at the airport. Thank you for letting us to arrange your journey. TIMS and Tsum Valley entry permit.